The Archipelago Los Roques National Park, off the coast of Venezuela is one of the most beautiful collection of beaches you can experience. Los Roques is located roughly 155 kilometers north of Venezuela’s central coast, and about 80 miles (128km) north of the port of La Guaira, Venezuela’s primary port. One of the interesting things about Los Roques, Venezuela is that it’s not just one piece of land. Los Roques is actually made up of approximately 350 islands, cays, and inlets that cover over 546 acres (221,120 hectares! ), which makes the Los Roques National Park the biggest marine park in the Caribbean. In 1589, the governor of the Venezuelan province ordered the take over of the Los Roques Achipelago on behalf of the Colony, despite protests by the Dutch who considered Los Roques to be a territory that belonged to them. In the middle of the 20th century, Venezuelan fisherman began to inhabit Los Roques permanently, establishing a small town on Gran Roque Island, which still produces over 90% of the lobster people eat in Venezuela. Then, in 1972 the Venezuelan government declared the Archipelago Los Roques a National Park to protect the large variety of seabirds, fish, coral reefs, and other marine life found all around the islands of Los Roques, Venezuela. Why Travel to Los Roques, Venezuela? Travelers flock to Los Roques from all over the world for it’s beauty, the amazing diversity of marine life, the friendly hospitality, and all the fun outdoor activities you can experience in Los Roques, Venezuela. Because it is a regulated National Park, it is preserved from pollution, speculation and mass tourism. No massive real estate programs, with swimming pools and night clubs, no jet skis, no marinas, no microlight aircrafts … Los Roques is natural and authentic ! The shores surrounding the 350+ islands, cays and inlets that make up Los Roques, Venezuela are among the most beautiful beaches you will ever visit. The crystal clear, white sand beaches stretch as far as the eyes can see, and the water color changes dramatic shades as you look out deeper into the ocean. or explore one of Los Roques National Park’s many coral reefs on a scuba diving expedition with a certified scuba instructor. The weather in Los Roques is one of the primary reasons so many people travel there year round. The air temperatures fluctuate from the 80s to low 90s (26º to 32 Celsius) Fahrenheit, which is a welcome relief to people visiting from colder areas of the world. 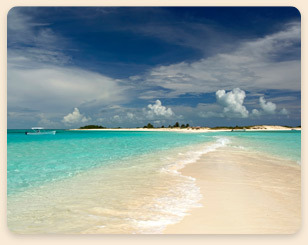 The water temperature off the coast of Los Roques stay about 76º Fahrenheit (about 24º Celcius) year round. Combine that with the trade-winds that provide a nice breeze throughout the day, and you have a perfect location to enjoy Bonefishing, deep sea fishing, kit surfing, or just relaxing on the sand as you admire this island paradise. Most people find that the best way to travel to Los Roques National Park is a flight on Los Roques Airlines, from Caracas, Venezuela. It’s a super short flight that will take you to Los Roques in just 35 minutes. And prices for flights to Los Roques National Park are reasonable, ranging from 0 – 0 per person for a round trip ticket, depending on the season. The rooms at the various hotels (Posadas) in Los Roques are usually simple in layout, with a focus on comfort. Hotel rooms are clean, cozy, and have many of the creature comforts you’d want (including DirecTV satellite service), while on vacation on a beautiful Caribbean island. As you can imagine, the hotels rooms in Los Roques vary based on the size of the room, location, and extras included at the Hotel where you’ll stay… but you can expect to find reasonable hotels ranging from – 0 per night throughout the islands, depending on the season. 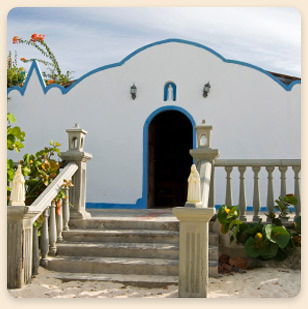 Some hotels in Los Roques even offer rental equipment and schools for Bonefishing, kite surfing, scuba diving, and many other fun outdoor activities.